1. Heightened memory and concentration - Scientists have found that rosemary fragrance seems to have a positive effect on future memory, as opposed to present and past memory. The part of the brain that makes and remembers to-do lists for future reference is an important cognitive skill. For instance, "when you come to a yellow sign that says 'Breaking Point', you should stop at the first gas station and pick up 3 cans of diet coke and a hogie." Those landmarks are meant to signal other actions in a healthy cognitive system. 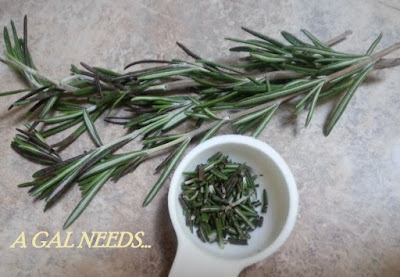 The best way to pick up the pungent aroma of the herb is with rosemary essential oil. You can use it in combination with other oils to create a scent that is both advantageous and pleasant. Combine them in a diffuser and use it to increase your cognitive abilities. 2. Diabetes Protection - Among several other herbs, rosemary is found to be a natural way to keep glucose levels at a normal level. You can use the needles to brew into a tea. Take 1 1/2 tsp. of the needles, bring water to boil, steep in one cup of hot water for 5 minutes, and drain. 3. Prevents Brain Aging - In a Japanese study, rosemary was found to prevent aging of the brain. It may protect neurons from free-radical damage because it contains a substance called carnosic acid. Benefits can occur in food form, tea, and fragrance. 4. Cancer Protection - Studies show that rosemary can prevent tumor growths in leukemia and breast cancer. It is also beneficial against inflamation and tumor protective. Use in food, tea, and fragrance form. 5. Protects Eye Degeneration - Macular degeneration is the most common age-related, eye-related problem in the U.S. and rosemary's carnosic acid prevents this. Best results when used in food form or tea form. Because of all this goodness, I put a bit of rosemary in my salads (usually 1/2 tsp. of chopped leaf is sufficient), use it in a garnish or bouquet to flavor my food, and use rosemary essential oil in a diffuser! Here's a tasty and simple example of how you can use rosemary in your food! 1. Cook bacon then drain fat, leaving enough to coat the pan. Set aside. 2. Season uncooked chicken with salt and rosemary, cook over medium high heat until golden brown and cooked through. 3. Make a bed of the greens. Scatter tomatoes, onion, and bacon on top. 4. 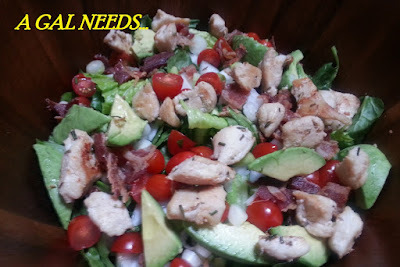 Slice the avocado, season with a pinch of salt and add the avocado and chicken to the salad. 5. 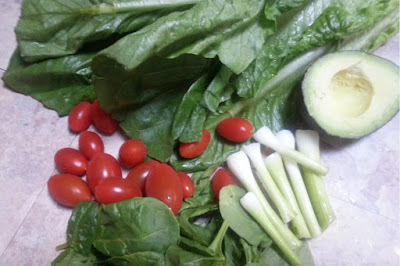 Add together the ingredients to the vinaigrette, whisk, and pour over salad. Serve immediately. Note: Along with the rosemary vinaigrette, I also used a healthy commercial raspberry vinaigrette to give it more body. Totally optional of course! Yield: 2 servings. Serving size: 1/2 salad. Calories: 350. 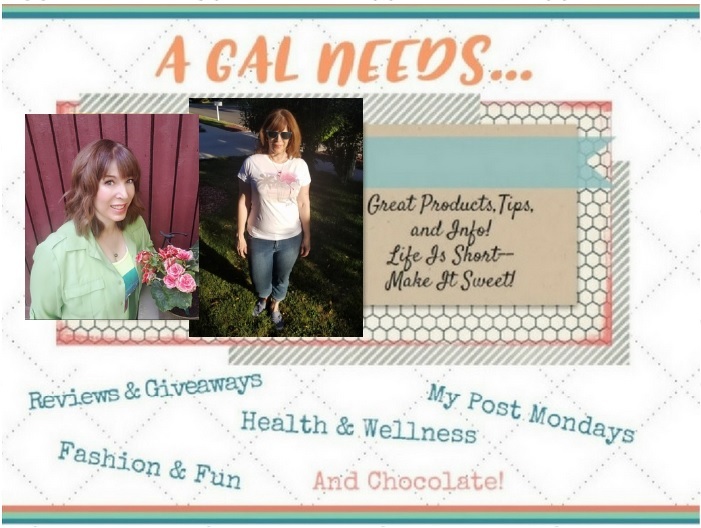 I'm linked up to Homestead Blog Hop 89!